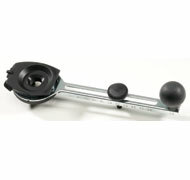 Circle Cutter 1 CRCT1 The ideal accessory for installing recessed lighting in ceiling tile. The CRCT1 works with all new "RZ" model Spiral Saws¢â. Cutting Diameter 3.5¡È - 12¡È Length 2.3¡È Weight .35 lbs.